At Electrical Solutions, our Newark electricians offer flat rate pricing to our clients, so that they know the complete cost of any electrical project before it starts. The price will not change halfway through your project for what you were quoted for. Electrical Solutions is a full service Newark electrical contracting company offering a complete line of electrical services. We have more than 29 years of experience providing honest, neat, professional and courteous service to our residential and commercial customers. The expert electicians at Electrical Solutions have been dedicated to reliable, on time, affordable electrical services with a 100% customer satisfaction guarantee. 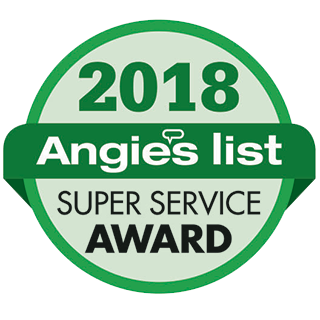 Our team of professional, courteous employees is committed to providing you with the best customer service and electrical repair or installation services possible. As Newark Electricians, we have the real world experience and cutting edge industry know-how to safely yet quickly remedy your residential or commercial electric needs. Just what do you need a professional Newark electrician for? Well, most people think that you only need an electrician when you are constructing a new home, but this is simply not the case. In fact, if you have anything in your home that has to do with electricity and it needs repairs, it is far better to call in a professional Newark electrician to fix it for you. 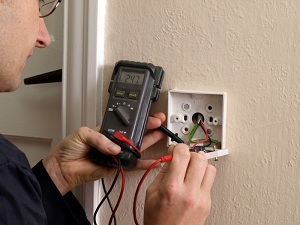 If you make a mistake while trying to fix your own wiring or electrical appliances, such an error can be quite costly to you - both in the sense of taking a blow to your wallet and potentially suffering from injury. Thus, when it comes time for Newark electrical repairs or panel upgrades and electrical wiring, it is time to call a reliable Newark electrician. Electricians go to school and learn everything they need to so that your wiring is correctly installed in your home. Newer homes must undergo inspection, as do those that have had recent additions. If the wiring is not correctly placed, you can run into increased financial costs to fix errors. This is where relying on a professional Newark electrician to do the work for you comes in handy. If you have a professional that knows all the ins and outs of installing Newark electrical wire and breaker boxes, you are far better off then if you attempt such things on your own. If you are looking for a Newark electrician then please call 302-994-6252 or complete our online request form.